SealMaster and Kalitta Motorsports announced a major expansion of their partnership today. SealMaster will become the primary sponsor of the Top Fuel dragster driven by J.R. Todd for the entire 23-race NHRA Mello Yello Series season. 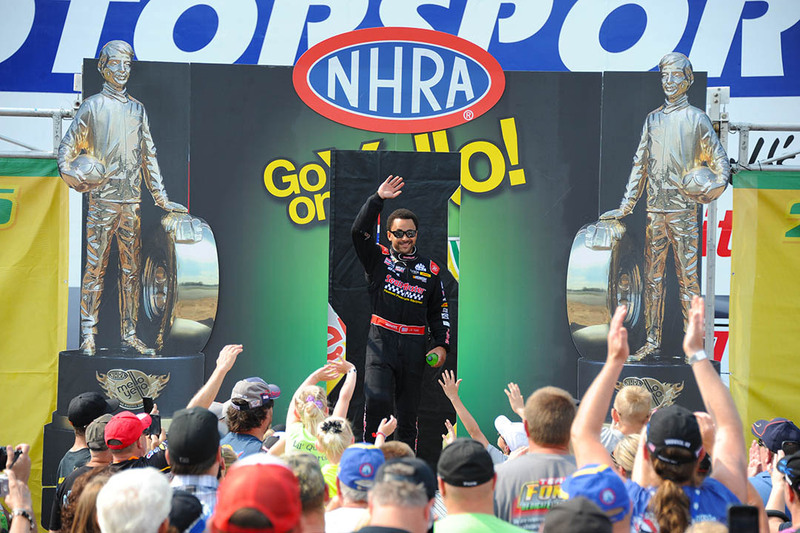 “Our involvement with Kalitta Motorsports and the NHRA gives us a great national platform to share who we are and what we do: We’re the one-stop source for pavement maintenance supplies and equipment,” Simon added. SealMaster will also continue its partnership with the NHRA sponsoring the SealMaster Track Walk every race weekend. Fans will have the opportunity to meet Team Kalitta personalities all season as they walk the surface drivers will race on just hours before the race action. In addition, SealMaster’s popular display dragster, the SealMonster, will also make several appearances on the 2016 NHRA Mello Yello Season. For more information about SealMaster, including franchise opportunities, visit sealmaster.net or call 800-341-7325.